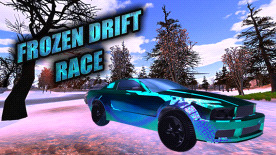 Frozen Drift Race is a racing game full of fun and healthy competition. Develop your skills in driving sports cars on a one of five winter routes. Take up the challenges and earn drift points to unlock new levels. Exchange money gained in races for the new cars. A lot of fun and a healthy competition.